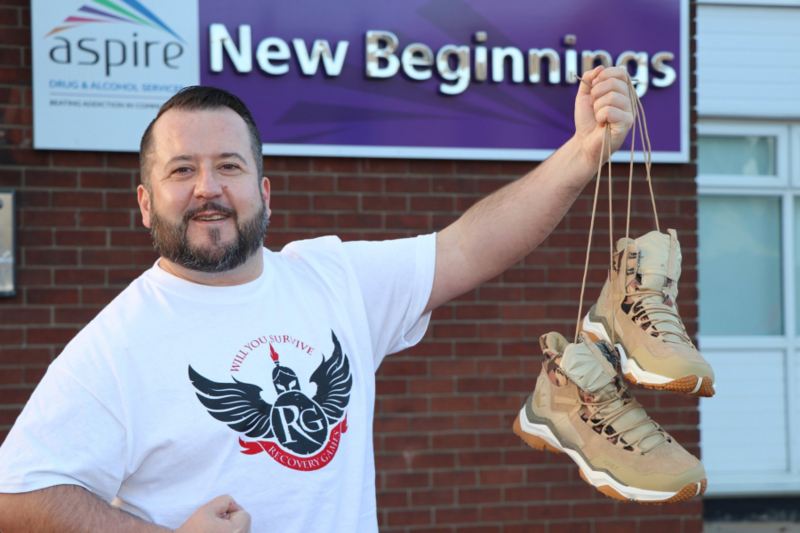 Scott Lane, from Aspire, will be hiking non-stop from Leeds to Skipton on Saturday, June 2 a distance of 26 miles in one day in support of the annual Recovery Games. Held at the end of August at Hatfield outdoor activity water sports centre, the Games mark the beginning of national recovery month in September. Teams from as far away as Glasgow complete together in fun, gladiator style activities with a spectacular ‘colour run’ finale. People in recovery, their family and friends, staff working in drug and alcohol services and from a range of community organisations, come together for a day of fun and celebration. Scott said: “I wanted to do something positive to support the games which are an important part of the recovery calendar. People in recovery face many challenges and these games give them an opportunity to celebrate their achievements and show that recovery from addiction is possible with the right support around them.